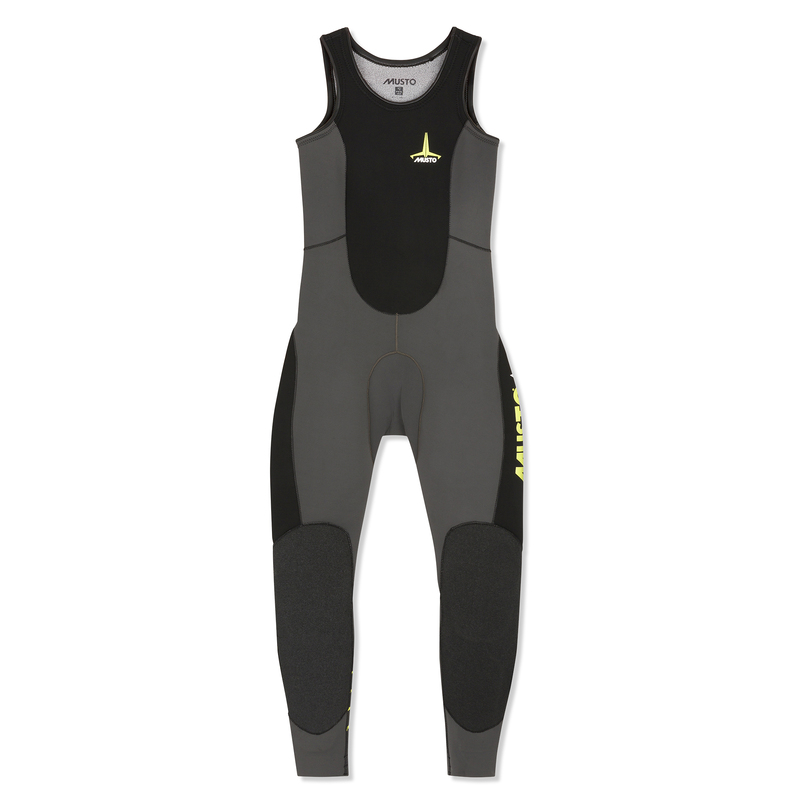 Designed to ensure unrestricted movement on high performance foiling boats, this elite Foiling ThermoHOT Impact Wetsuit features a sleeveless design, that's been constructed from 4mm thick neoprene. This ensures full articulation and warmth when you need it most. A backer and a face on the neoprene takes the thickness up to 5mm for even greater warmth and a streamlined fit allows you to layer up with ease. Internal pockets hold D3O® impact protection pads to prevent injury in critical zones such as the back, side of the thighs, hips and shins. Moulded rubber DeckShield on the knees adds protection as you kneel on the deck.